Winters are here and those who have witnessed Delhi’s harsh and dry winters would surely know the impact of the dry air on our skin. The dryness and itchiness due to the dry and cold air makes us grab our moisturiser bottles every now and then. Even after applying moisturising lotion daily, our skin remains dry and itchy. The worst impact of this dry, cold and harsh winters is on the delicate skin of our babies. We love our babies’ soft and delicate skin and hate to find it losing its moisture as they grow older and especially in winters. As they reach toddlerhood, their skin needs extra care because this is the time they start their preschools and go for outdoor playtime. Their skin has to bear the wrath of dry and extremely polluted air that we have in Delhi which begins to take a toll on their soft skin. The impact is almost immediately visible. The chapped lips, the patchy skin and severe itchiness becomes a great cause of concern for the mothers. Almost every mother must be familiar with Aveeno. It’s a skincare product range by Johnson and Johnson. It’s a brand based in the U.S. but has been recently launched in India. Aveeno Baby’s Active Naturals Oat contains 5 vital elements, which are also found in healthy baby skin, proteins, enzymes, vitamins, lipids and antioxidants. It helps in naturally nourishing and protecting the baby’s skin from itchiness. 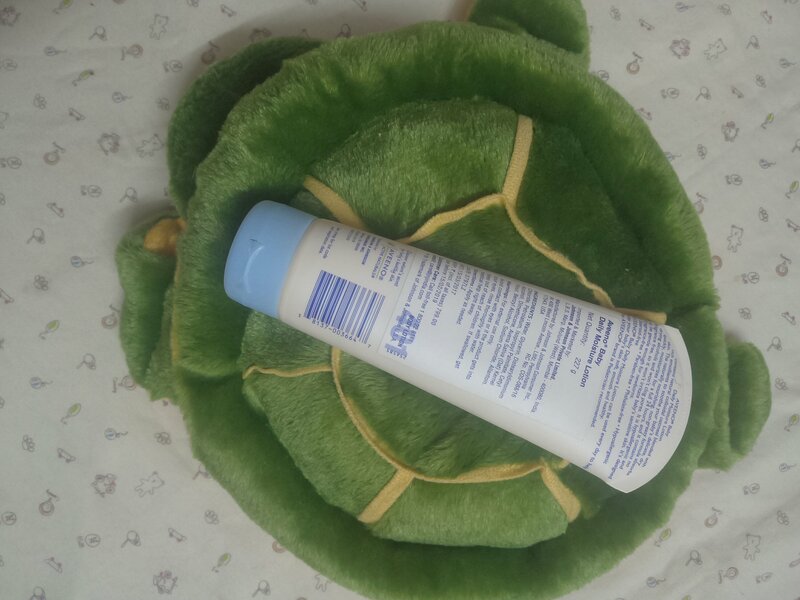 I tried Aveeno Baby Daily Moisture Lotion for my kids. It contains oatmeal blended with rich emollients which soothes baby’s skin and protects it from becoming dry. It is non greasy and gets absorbed quickly. It is hypoallergenic and fragrance free which does not irritate a baby’s skin. It is paraben free, phthalate-free and also steroid free. It gives 24 hour protection and keeps the skin well nourished. 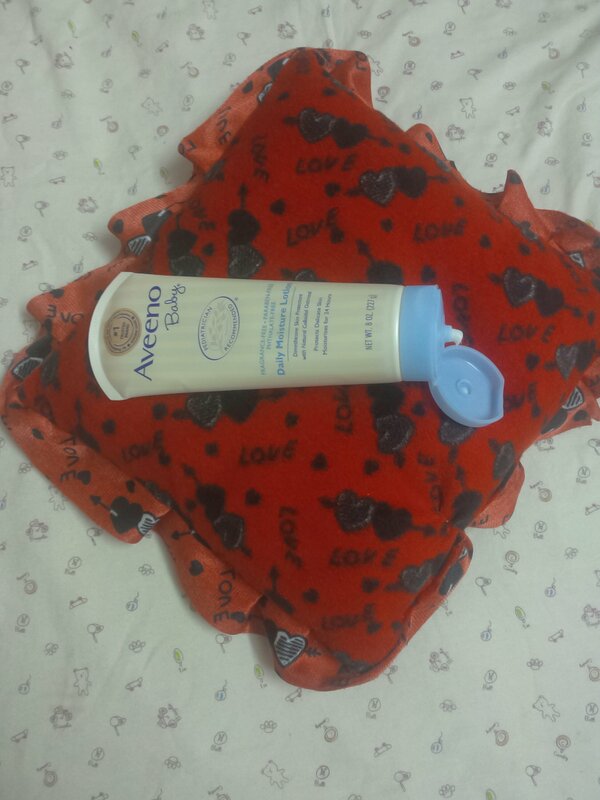 My younger daughter’s skin is a little dry and I was worried as it will get drier and cause itchiness to her. So, I have to be a little more particular for her skin care in winters. I have tried Aveeno Baby Daily Moisture Lotion with her for over a week. 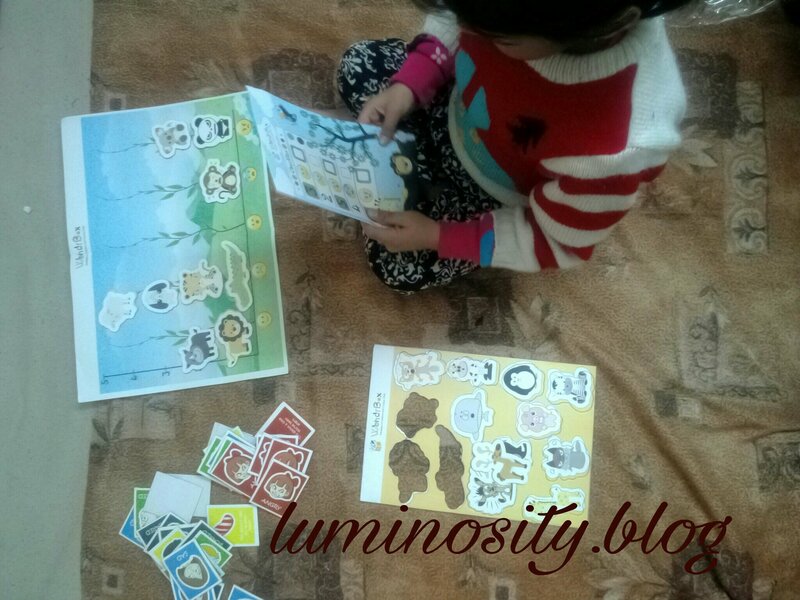 I apply it every day before sending her to school and even after coming back from school, her skin remains nourished. 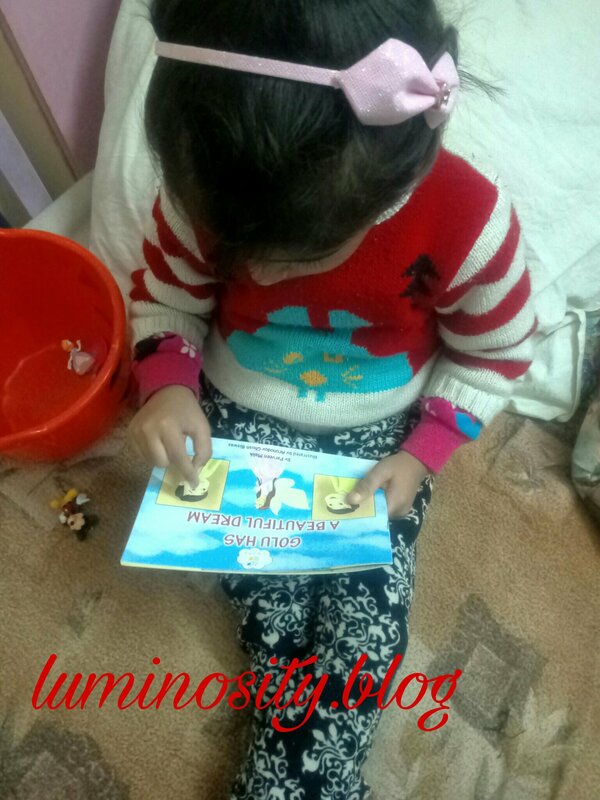 She is not complaining of any itchiness on her skin even in this cold and dry weather which has made Aveeno Baby Daily Moisture Lotion my go-to product for her. One of the major concerns for a mother is the health of her children. Children in the age group of 3-10 years tend to become fussy and start developing their own choices and preferences for food. Most of the times, children develop a liking for packaged and unhealthy food and run away at the sight of fruits and vegetables. 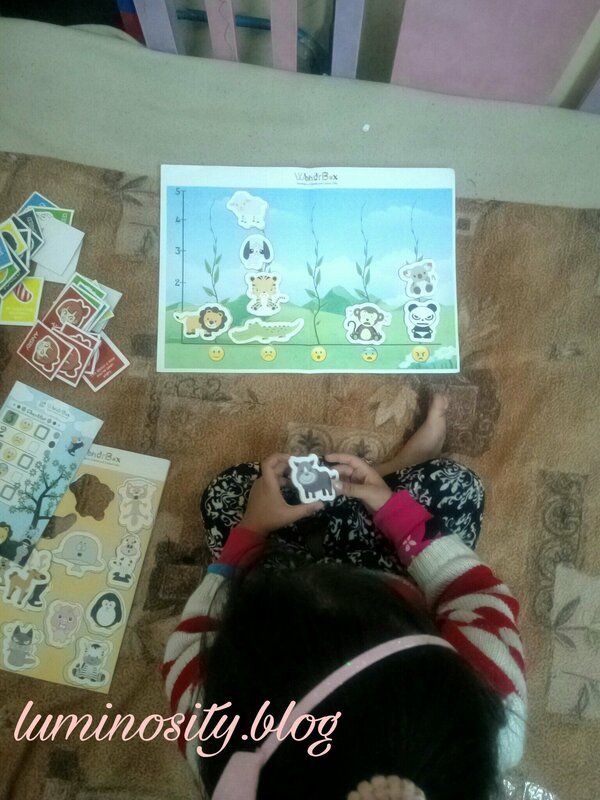 Also, at this age they are involved in several activities and go through growth spurts which means they need a balanced and healthy diet to fulfil the needs of their body. It becomes a challenge for a mother to make them eat healthy food which contains all the micro and macro nutrients. We consult doctors and take their advice on whether to give them nutritional supplements or not but the mere sight of a medicine bottle is enough for the kids to turn it away. So, the question is how can we meet these nutritional gaps and ensure that our kids take their daily dose of vitamins and minerals. Recently, I came across a brand which seems to have understood our concerns. 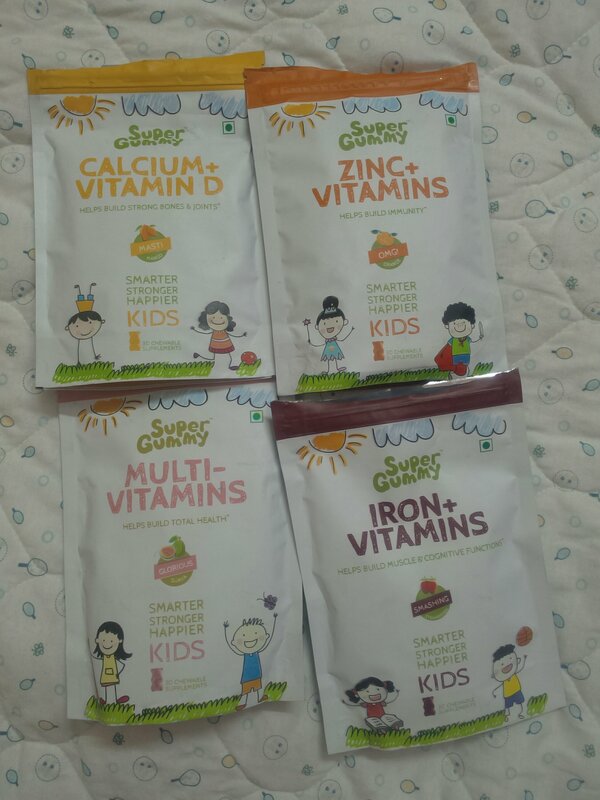 Super Gummy has brought to us yummy chewable supplements for kids. These come in the form of chewable jelly bears in four different flavours and are power packed with all the vitamins and minerals. 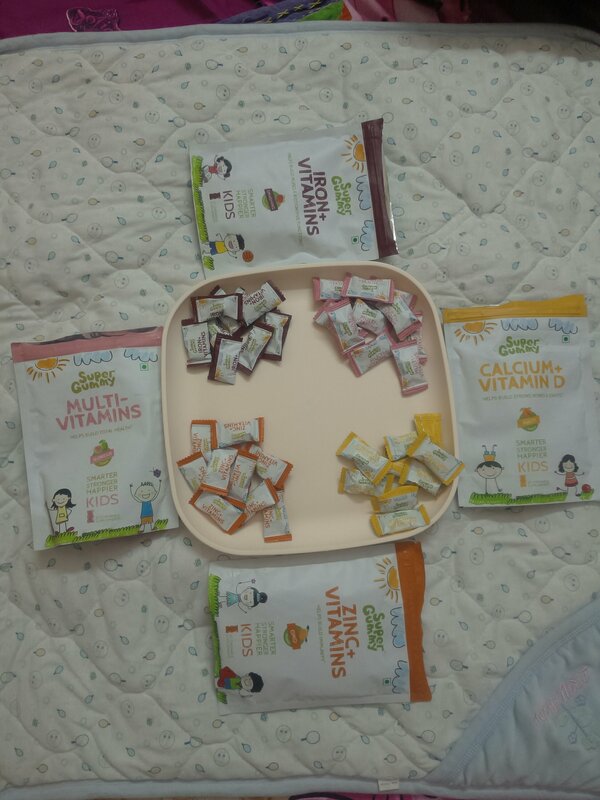 They have the right balance of nutrients with yummy flavours like guava, mango, strawberry and orange. The colour, shape and taste of these gummies is such that kids cannot refuse them. I showed it to my elder one and she loved it. After trying it once, she takes it every day herself. 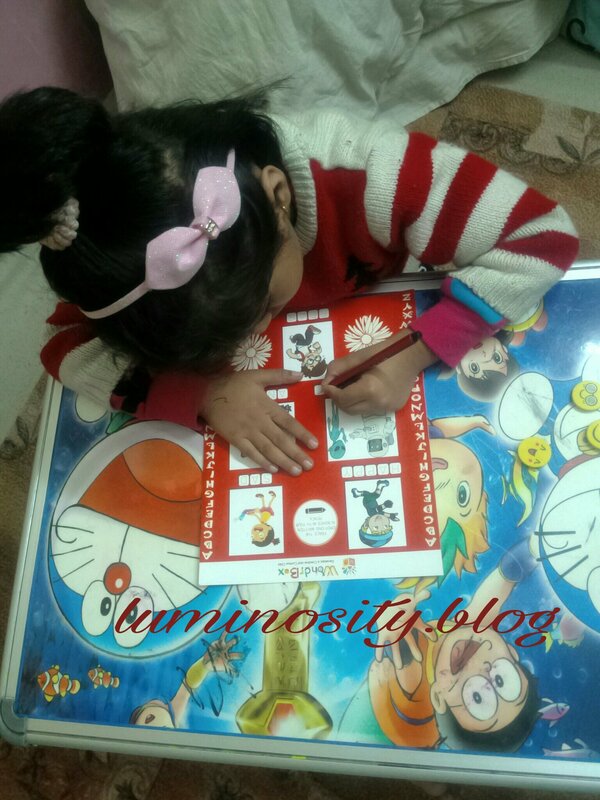 She takes it every day to school and her friends also love it. They now ask her to bring the gummy for them as well. During the long hours of school and with an active involvement in the co-curricular activities of my daughter, I am no longer worried about her health and nutritional needs. She prefers gummies over other sweets and chocolates since she knows that these jelly bears are not only tasty but healthy too. This little pixie dust magic is all we need to make our kids smarter, stronger and happier. MamaEarth has become the most favoured brand for me now. This is one brand which is keeping all its promises and ensures that the products that they get for mums and babies are 100% toxin free and safe. There are no chemicals or parabens in any of their products and they are extremely gentle and mild in nature. Mamaearth has got a new product this time which is once again like the other products completely natural and safe to use: Organic Bamboo Based Wipes. With small kids around it is completely impossible to have a day without using wet wipes. Especially with new born babies, wet wipes are our constant companions. 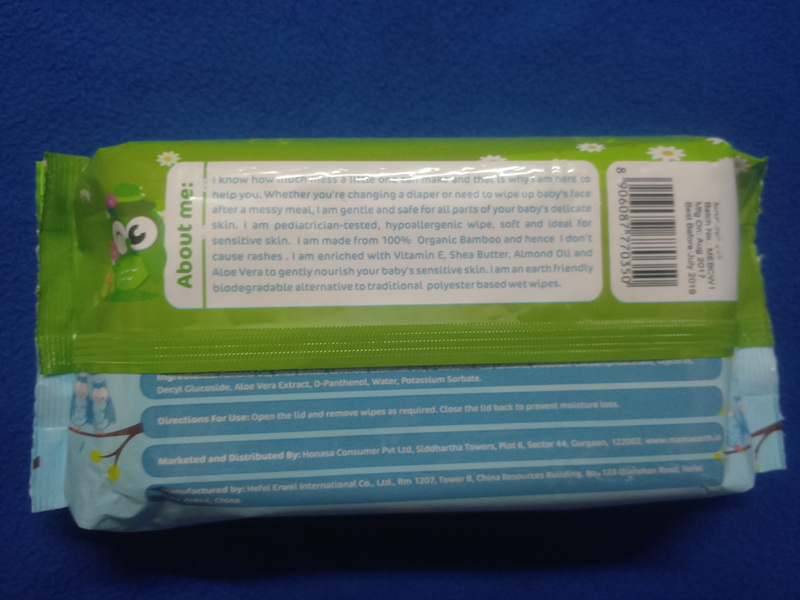 Mamaearth Bamboo Based Organic Wet Wipes are made from Bamboo Cloth. Its key ingredients are almond oil, shea butter, lavender essential oil, glycerine and aloe vera. These wipes are extremely soft and ideal for a baby’s delicate skin. The best part of these wipes is that they are organic and biodegradable. The size of the wipes is big enough for the cleaning purposes. These are much thicker than the ones that we get in the market. Being 100% chemical free, they do not cause any allergies or rashes. The packaging is extremely good. 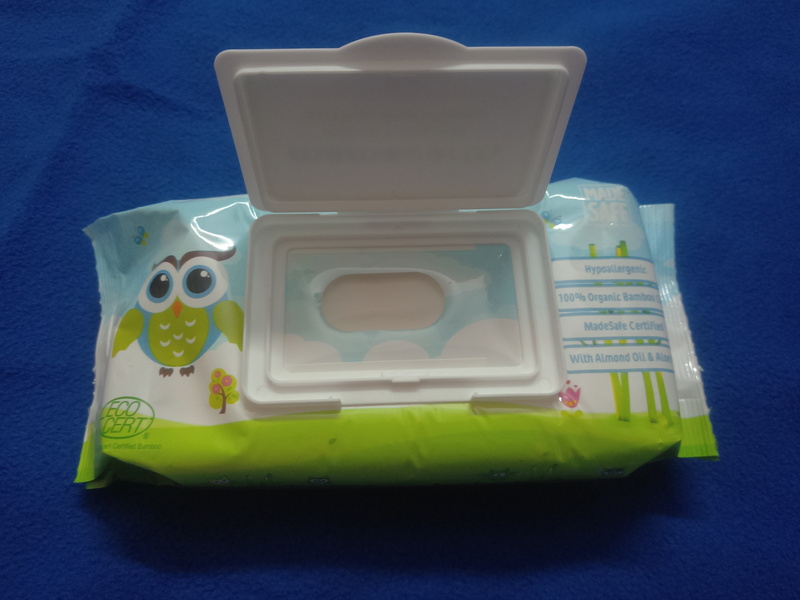 It has a box lid which keeps the moisture of the wet wipes intact. Generally, once we peel the sticker of the wet wipes packets, the other wipes start losing their moisture. 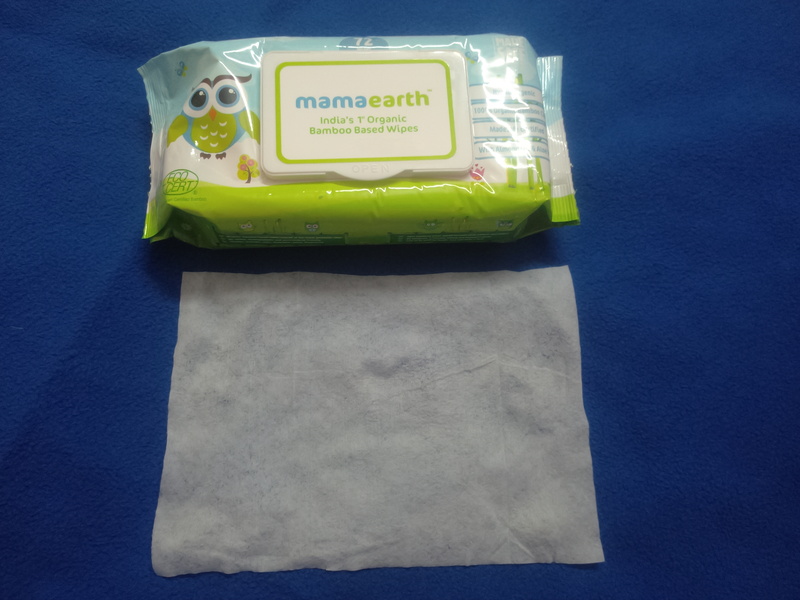 The box lid of MamaEarth Wet Wipes prevents the other wipes from getting dry. I liked the fact that these wet wipes are biodegradable in nature. The other wet wipes are made from polyester which means that they are not environmental friendly. The fragrance of these wipes is very gentle, mild and long lasting in nature. These are hypo allergenic and soft. A packet of 72 wipes is priced at Rs. 249 which means one wipe costs around Rs. 3.45 each. The wipes are thicker and stretchable. With the amazing key ingredients and other features, it makes it the best one and worth its price. Can we really buy everything with money? Who is richer: a person having billions in his bank or a person having someone to love and receive love from? These are the questions which the book Second Chance brings to us. 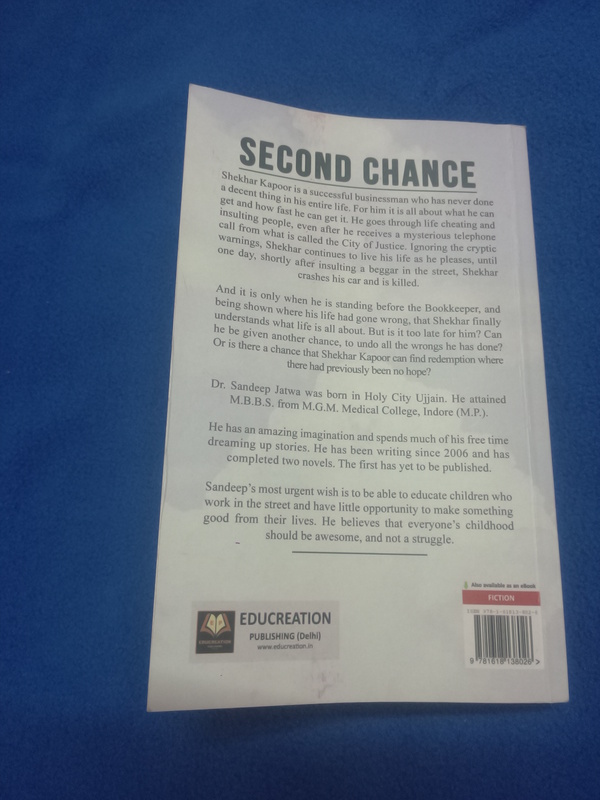 “Second Chance…if you were given a second chance, how would you change things?” The book poses a question on the reader through the cover page itself. From the beginning itself it feels that there is an element of some kind of surprise in store. It is sufficient to arise the curiosity of the readers. The cover page of the book is very intriguing. It shows a wealthy man walking on a road amidst the clouds and his head is held by a huge hand. It signifies the role of a super power in our lives whom we keep ignoring and fail to recognise. The book is written by Dr. Sandeep Jatwa. Born in the holy city of Ujjain and grew up in Dewas, in the state of Madhya Pradesh, India. He attained his MBBS from MGM Medical College, Indore. He works at the Government Hospital Sarangpur District Rajgarh. He has been writing since 2006 and has completed two novels. 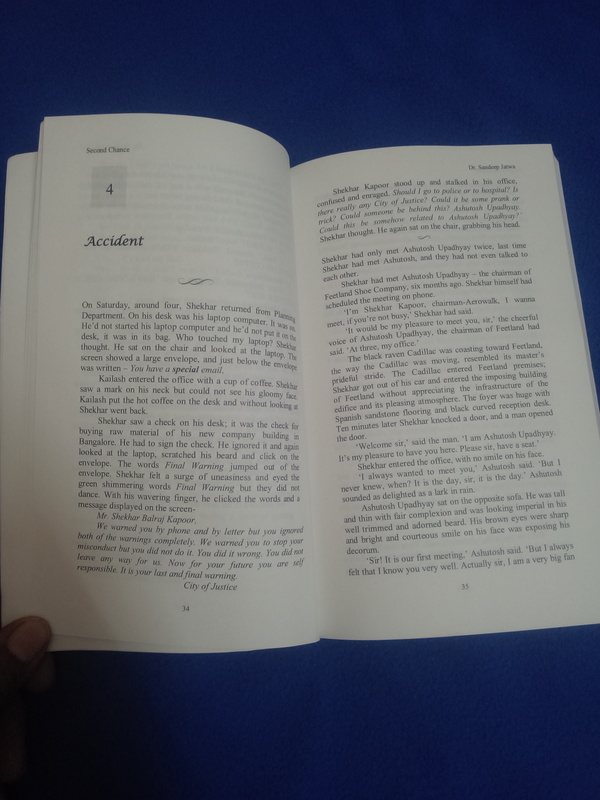 The first is yet to be published and the second one with the title of Second Chance has been published. His most urgent wish is to be able to educate children working on the streets and believes that childhood should be awesome and not a struggle. Second Chance is about a billionaire called Shekhar who believes that he can buy anything with money. Words like love, kindness, pity, sympathy and respect have no value for him. Through the course of his entire life, he has conducted so many evil deeds that he himself cannot recollect. A thorough ruthless and reckless person, he starts getting warnings from the City of Justice to mend his ways but he keeps ignoring them and continues his ways. One day he meets a terrible accident and is taken to the City of Justice. He is surprised and does not believe himself. Considering it to be a joke, he talks rudely with the God of Justice, “you have no rights to punish me,’Shekhar yelled”. When he is shown all his evil deeds by the Bookkeeper in front of God, he feels ashamed. He gets sentenced to go to the hell. His mother’s last wish comes to his rescue and he is given a second chance to improve his wrong doings. What were the deeds for which he was taken to the hell? Will he be able to improve himself? Will an arrogant and egoist person like Shekhar Kapoor acknowledge his mistakes and correct them? The book revolves around the theme of the cycle of Karmas. If we do good deeds, we go to heaven and if we do bad deeds then we have to face punishments in hell. We have to pay for our sins and no riches, money or wealth of the world can save us from that. Love and kindness go a long way in providing happiness in life rather than money. The moral of the story is very well stated by Manohar Kaka in the book, “a small cottage wherein laughter lives is worth more than a castle full of tears”. The narrative becomes dull and slow paced during the descriptive scenes of the City of Justice and Hell but picks up pace after that. The second part of the book which deals with Shekhar trying to correct his wrong doings is very interesting. There are elements of surprise and suspense which are unfolded in the end. The love story of Shekhar and Unnati is very sweet and subtle, “the most beautiful and golden hearted girl was his and now he was feeling himself to be the luckiest person in the world”. The book provides its reader with a much needed lesson and thought to ponder over in its closing lines, “life changes when you open the door of your heart for love…no money can give you contentment and happiness”. Overall the book is surely worth reading and keep you engaged with some good morals and learnings too. Note: I received a review copy from Vinfluencers in exchange of an honest review.